Made from 1/2" webbing with an internal shock cord. Lock stitched at both ends and secured to tool by a 10" webbing loop. 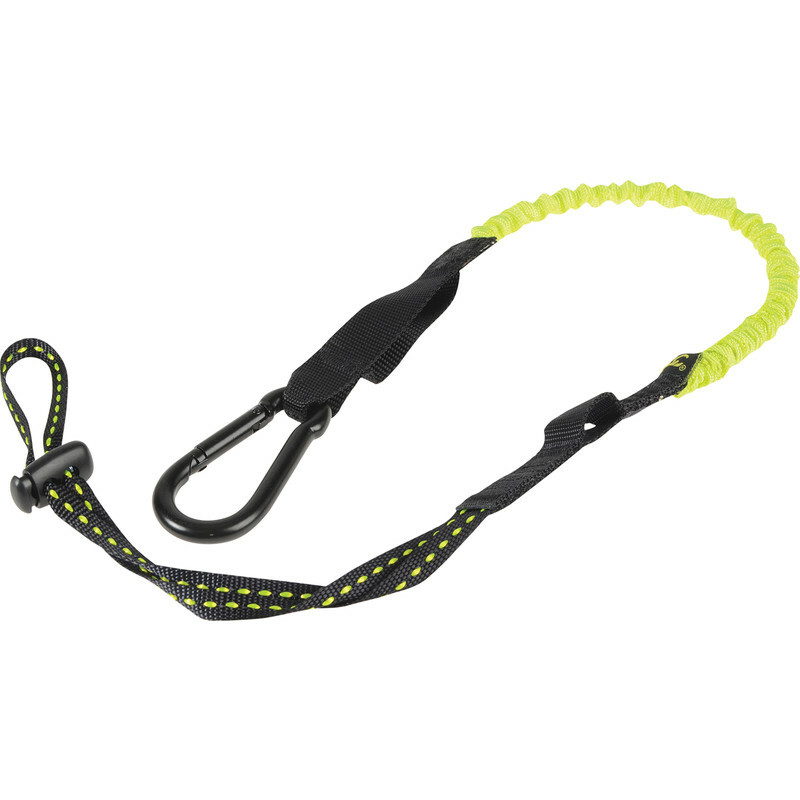 Top end can be fastened to user's belt using 2" wide belt loop or heavy duty carabiner.